What do you do when the increased costs of waste management prevent you from expanding your business? McCall Farms selects Cavanaugh to develop innovative bioenergy process design and provide design leadership in partnership with Karesh Environmental to expand their plant’s waste management capacity in ways that don’t break the bank. McCall Farms, founded in 1838, operates from its original 2,000 acre family farm location in Effingham, SC. In 1954, the family built a 5,000 square foot canning operation which concentrated on canning only the freshest locally grown tomatoes, okra and corn from their own farm as well as from local farmers. This business venture proved successful operation was well received and soon expanded to include other products, such as squash, string beans, peas, potatoes, peanuts, peaches and greens – transforming the cannery into a year round operation. Continuing success enabled McCall Farms to acquire the Margaret Homes brand in 1985, and moved all of the Margaret Holmes operations to the Effingham plant. Soon, McCall Farms began distributing all of its canned and frozen products under the Margaret Holmes label. Subsequent acquisitions included Glory Foods in 2010 and Bruce Foods in 2013. With each expansion, McCall farms gained market share, and a rapidly growing amount of organic wastes to manage. With the acquisition of Bruce Foods in 2013, McCall Farms was faced with the need for a major expansion of its waste management facilities. As they were completing their due diligence on the benefits of acquiring Bruce Foods, one of the largest processors of sweet potatoes in the world at that time, McCall Farms was also completing due diligence on the increased costs to their business of managing the wastes stemming from the numerous fresh food products they processed. The estimated costs for expansion of the waste management system supplied by several engineering firms were staggering, and the potential economic impacts of such costs unbearable. McCall Farms turned to their long-time trusted advisor, Karesh Environmental Services, to find a solution to their waste management needs that they could afford. Hyman Karesh, Principal of Karesh Environmental, inquired of others in the produce processing industry as to whom they turn for innovative, cost-effective solutions. Through those recommendations, Karesh sought the assistance of Cavanaugh. The Cavanaugh team worked with Karesh to assess the needs of McCall Farms, and developed a Basis of Design to quadruple the capacity of the waste management system to include anaerobic digestion and innovative pre- and post-digestion processes that fit within the economic capabilities of McCall Farms. Working with the staff of McCall Farms, whose exceptional knowledge and experience with the product waste constituents became invaluable, and Karesh Environmental to translate Cavanaugh’s process design into permits and construction plans, Cavanaugh was able to translate McCall Farm’s vision for cost-effective organic waste management into an effective, yet simple bioenergy system that harvests various coproduct streams, such as through soil recovery and biogas collection, that provides opportunity for better stewardship of McCall Farms human, financial, and natural resources. Cavanaugh provided continued counsel to Karesh and McCall Farms as the final equipment selections were made and construction documents developed. 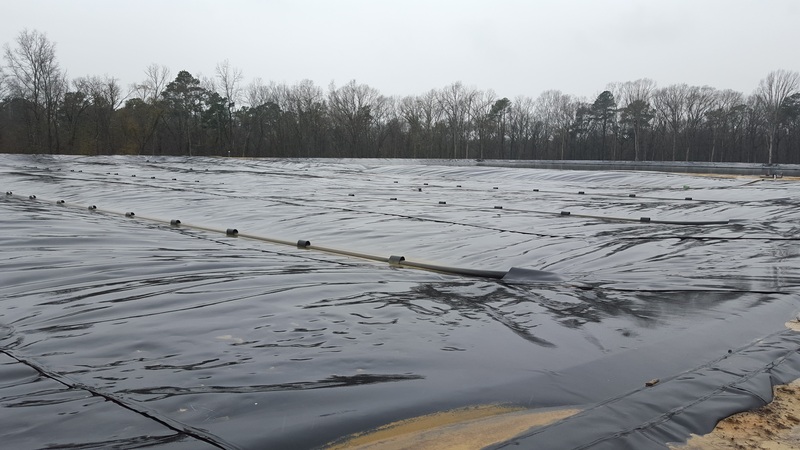 Upon completion of the construction documents by Karesh and its subconsultants, Cavanaugh worked with Karesh and the staff of McCall Farms to field-adapt the system to changing site characteristics and facility needs. Cavanaugh further worked with McCall Farms staff to identify and source potential offtakers for some of the segregated value-added coproducts, such as potato peels for animal feed. The result of the combined efforts of the facility owner, their trusted consultants, and Cavanaugh is an improved, expanded waste management system that not only fell within the limits of tolerable costs, but affords McCall Farms with opportunities for additional revenue streams through coproduct sales and energy harvesting. The new waste management system was commissioned in the late summer of 2015, and was quickly put through its paces as McCall Farms processed a large volume of sweet potatoes acquired through its purchase of Bruce Foods. According to Karesh, who provides ongoing operational counsel to McCall Farms, the bioenergy system, including the innovative digester design provide by Cavanaugh, is operating at greater than expected performance levels, as measured by constituent loading reductions to the downstream treatment processes. Are your waste management costs rising faster than your profits? Or, are you being advised to purchase the ‘gold plated hammer’? Give us a call, and we will mutually assess your opportunities for better resource stewardship through innovation.